Meet another stunning Wyndham Collection exclusive - the Amare 13 3/4-inch W x 12-inch D x 56-inch H Bathroom Wall Cabinet. The Amare wall-mounted storage cabinet delivers beautiful wood grain exteriors offset by modern brushed chrome accents. The simple clean lines of the Amare family of storage cabinets are no-fuss and all style. 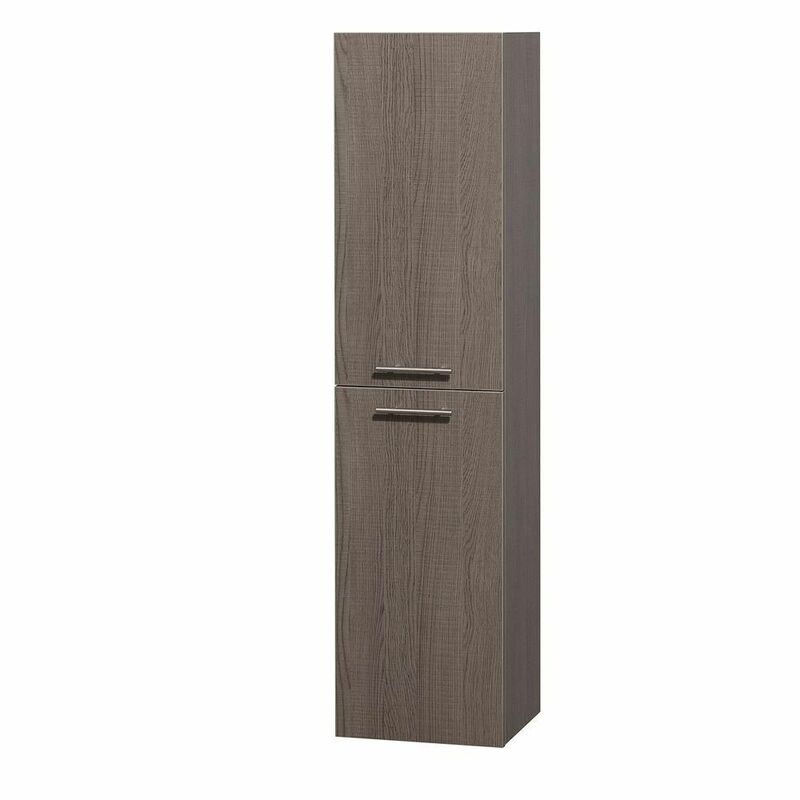 Amare 13-3/4-inch W x 56-inch H x 12-inch D Bathroom Linen Storage Cabinet in Grey Oak Meet another stunning Wyndham Collection exclusive - the Amare 13 3/4-inch W x 12-inch D x 56-inch H Bathroom Wall Cabinet. The Amare wall-mounted storage cabinet delivers beautiful wood grain exteriors offset by modern brushed chrome accents. The simple clean lines of the Amare family of storage cabinets are no-fuss and all style.